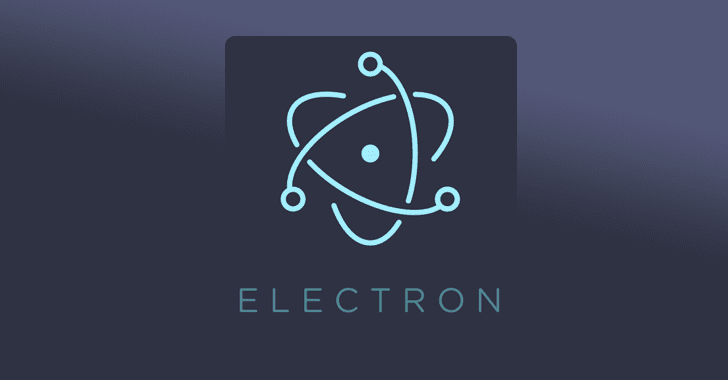 A critical remote code execution vulnerability has been discovered in the popular Electron web application framework that could allow attackers to execute malicious code on victims' computers. To prevent unauthorised or unnecessary access to Node.js APIs, Electron framework by default sets the value of "webviewTag" to false in its "webPreferences" configuration file, which then sets "nodeIngration" to false. Moreover, if an app developer skips or forgets to declare "webviewTag: false" in the configuration file, even then the framework by default considers the value of "nodeIntegration" as false, to take a preventive measure. However, Trustwave researcher Brendan Scarvell has released proof-of-concept (PoC) code that attackers can inject into targeted applications running without "webviewTag" declared, by exploiting a cross-site scripting flaw, to achieve remote code execution. The exploit re-enables "nodeIntegration" in runtime, allowing attackers to gain unauthorised control over the application server and execute arbitrary system commands. For more technical details on the Electron vulnerability and PoC exploit code, you can head on to the Trustwave's blog post.